I padded out the magnetic closure to provide more room for the contents. In my experience, too many bags look best when they have nothing in them! 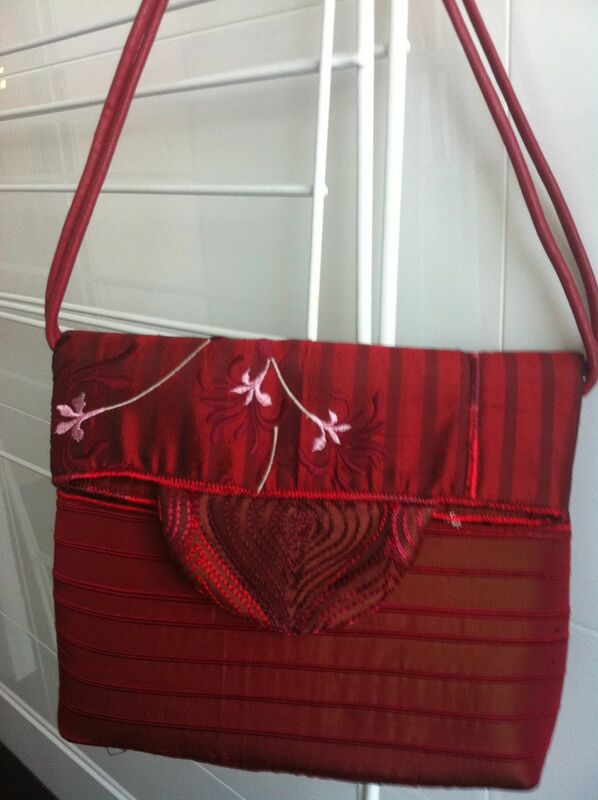 In another attempt to master bag making I put together a packet of silk scraps bought years ago in Canberra. The good news was that they all co-ordinated. The bad news was the pieces were so small I had to stitch them together first to get big enough pieces for a bag. This left the final bag looking a bit “patchy”. Another disadvantage was that the fraying meant I had to do some “rescues” involving satin stitched edges which were not a part of the original design but required to get it to hold together! Anyway, it will be a colourful contribution to the WAFTA display “A Bonanza of Bags” at the Perth Quilt and Craft Show in May. 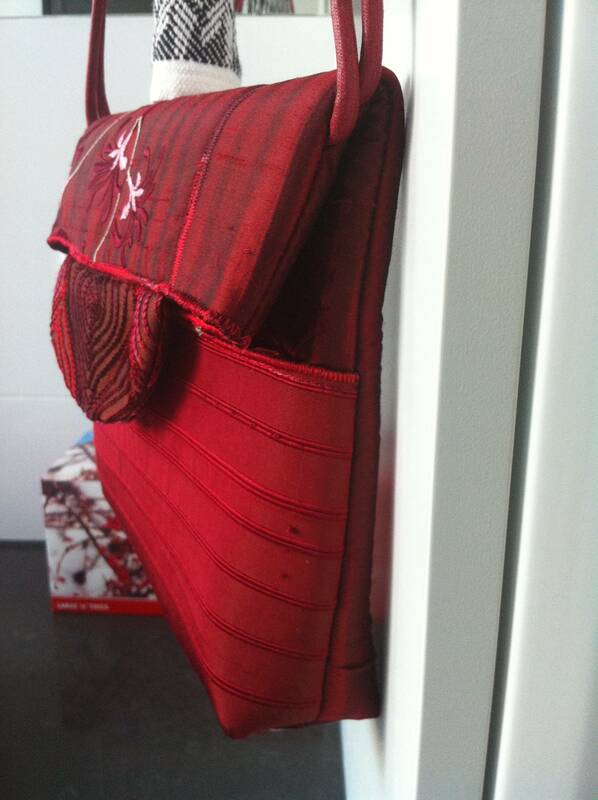 Packet of silk offcuts, “Soft and Stable by Annie’s” bag interfacing, polyester lining and magnetic bag closures.